I will admit that I paid a bribe at a roadblock just hours before launching an anti-corruption site. In May last year, I was pulled over by a police officer. He inspected my car for “vulnerabilities” and then asked if I had a fire extinguisher. He said I could be fined $20. When I told him that I did not have that much on me, he quickly gave me a way out. “Give me what you have and I will look away.” The alternative was that he would detain me until he knocked off duty – and I didn’t have time for that. I paid him a bribe. I didn’t like it and my conscience weighed me down. Frustrated, I brainstormed, decided to create a website and by the end of the day www.ipaidabribe.org.zw was up and running, thanks to the beauty of open source software. The site got over 3000 visits in the first two days. It was clear that many Zimbabweans were as frustrated as I was about corruption and now we had a chance to do something about it. Opportunity: People get involved in corruption when systems don’t work well and they need a way to get things done regardless of the procedures and laws. Little chance of getting caught: A lack of accountability comes when there is little transparency (for example, public officials who don’t explain what they are doing, how and why), and weak enforcement (law agencies who don’t impose sanctions on power holders who violate their public duties). Certain attitudes or circumstances that make average people disregard the law. They may try to get around laws of a government they consider illegitimate. Poverty or scarcity of key goods such as medicine may also push people to live outside the law. Getting people to start speaking out when they see corruption around them. Getting people to talk about how they refused to pay bribes. This gives the crowd a good example of how people can achieve things on the basis of personal integrity. Verification of reports. One person can only do so much here so I am happy to talk to people and/or organisations that can help with verification of reports. This aspect is difficult to crowd source. Escalation of reports. There are still many reports that have not been properly escalated. My idea has always been to have the crowd handle the escalation of reports. We are clearly still a long way from this. Marketing. Scaling up too fast was a concern for me because it would increase the chances and number of reports that are not verified and escalated. But it goes without saying that scaling up is an absolute necessity. Over 90% of the reports we have received are about corruption occurring at road blocks. 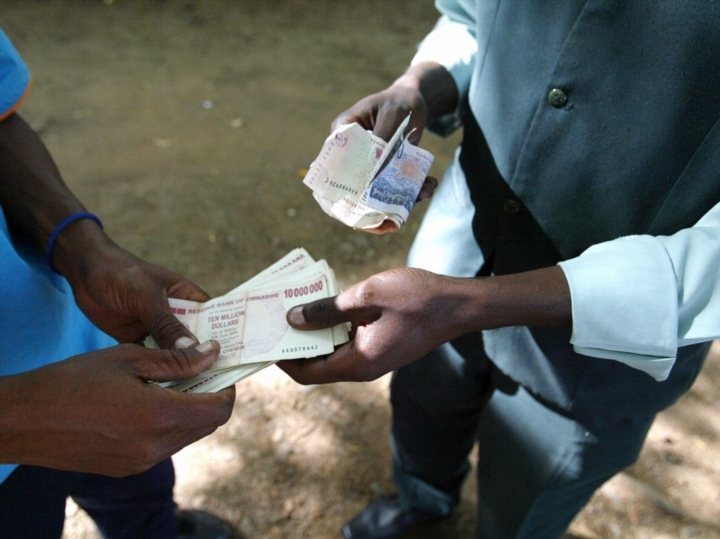 In fact, in Zimbabwe (the most corrupt country in Southern Africa), the government loses US$ 1-million each year to corruption within the police ranks. There is no commitment from within ZRP to deal with such police officers. This is why some of us decided to take matters into our own hands. The crowd is willing to expose corruption. It is on this basis that I have decided to focus my efforts to fighting corruption on road-blocks. Working with a colleague, we are building what could be the future of the fight against corruption Kombi. We know that the fight against corruption can be more effective if we change mindsets rather than try to attack specific incidents. Because of this we have decided to build a video game which will be targeted at younger people. The video game is called Kombi, named after a vehicle for public transport that’s an essential service throughout the continent. It’s called a taxi in South Africa, matatu in Kenya, dala dala in Tanzania, tro tro in Ghana, the list goes on. We chose to go for a video game was because we know that people love games. With a game we potentially engage many people simultaneous because they have a lot of growth potential. The legendary Angry Birds, for example, took only 35 days to reach 50-million people. Compare this with the 3.5 years it took Facebook to reach that same number or the 75 years it took the television to reach the same number of people. Every players starts at the bottom but depending on the points they earn in the game, they can graduate from being a conductor (the lowest level) to being a driver, then kombi owner, then police officer, then ultimately, police commissioner. Every player is in a situation similar to that of the average Zimbabwean where they may have to pay/take bribes meet their daily targets or get through the day but every time the pay/take bribes, they lose points and hence take longer to become a police commissioner. The result is that players learn that although corruption can seem to help in the short term, it hurts in the long run. The game will be real-time and online – you will be competing with other players to get passengers, fuel, reach the destination faster, etc. Third party Developers in different areas can build their own routes and add them to the game. They can also earn money for themselves on the permit fees paid by players to drive on the routes they have developed. I’d like to invite any game developers (especially those based in Zimbabwe) who would like to get involved in Kombi to send me an email. We don’t care about the platform you develop on for now. Tawanda Kembo is interested in finding innovative ways to meet social needs. He explore existing methods to see if he can remake or modify them to serve today’s society. He is one of 10 young Africans shortlisted to be a One Young World delegate at this year’s summit. At this event, the M&G’s Trevor Ncube will be chairing a session on African media and what Africans think of their journalists. To share your views, complete this short survey. It’s a custom in Ghana for the evening of December 31 every year to be dedicated to church activities. Christians all over the country go to church to pray and keep vigil as a new year dawns. The night of December 31 2011 was a special night. As usual, Christians went for the 31st night watch service; also called Crossover or Passover. I couldn’t make it due to sheer exhaustion so I watched the various church services being screened on television. The dominant topic among Ghanaian pastors that night was “Pray for a peaceful 2012 election”. Lo and behold, 2012 came to pass and Ghana had a sixth consecutive presidential and parliamentary election in December. I’m not saying that it’s all thanks to God though. I believe that technology played a very crucial role in the election. 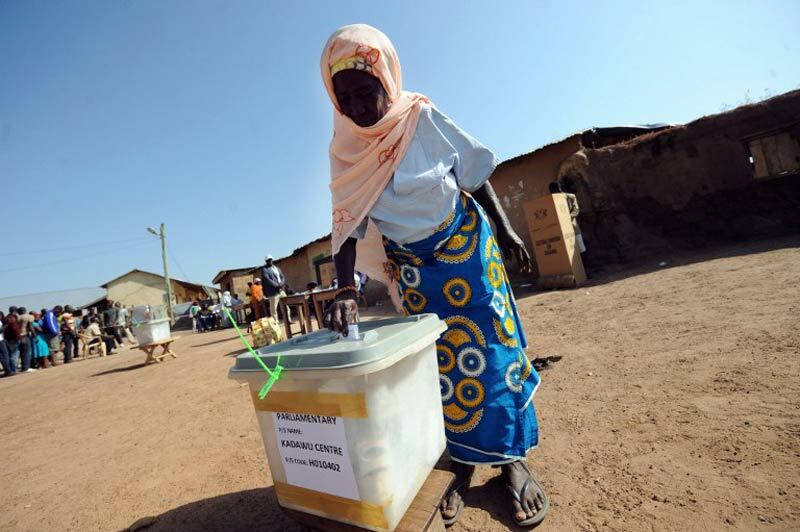 This blog post explores the many roles of technology in Ghana’’s 2012 election. The Electoral Commission (EC) of Ghana announced in 2011 that the 2012 general election would be 100% biometric – i.e. the voters’ register will be a biometric register and voters will also be verified biometrically on election day. This announcement was received with mixed reactions. Supporters of technology thought this was a laudable idea that would go a long way to ensure a credible voters’ register, remove duplicate names, prevent multiple voting and prevent zombie voters. (Zombie voters are people who register under the names of friends or relatives who are dead, so that they can vote twice or more.) I, too, felt biometric was the best way to go. However the opponents of a biometric election ‘cautioned’ the electorate with funny myths. My favourites: biometric devices cause cancer and they can electrocute voters. A group of prominent Ghanaian bloggers under the umbrella Ghana Decides were very active in a campaign to get people to register. Ghana Decides primarily used social media to drive citizens, especially the youth, to register. After 40 days, the electoral commission successfully registered 14.5-million voters and thwarted over 10 000 fraudulent registrations. This was not possible with older modes of registration. In previous years it was very difficult to access the manifestos of political parties and/or stay up to date with their campaigns. With this election though, political parties went beyond television, billboards, newspapers and radio to reach voters. Candidates harnessed the power of online advertising and social networking to connect with their constituents. And when prospective voters were required to verify their names in the biometric voters’ register, technology saved the day. The electoral commission, having learnt from previous experiences of low turnout during the verification period, decided to add SMS verification to the traditional verification system. Hitherto, voters would have to travel to their polling stations to physically verify their names in the register. By applying technology this time around, Ghanaians were saved from the inconvenience of travelling and electoral officials could put the time saved to better use. The SMS verification system made it easy for errors in the voters’ register to be corrected in time to prevent confusion on election day. In a bid to ensure accuracy and integrity of content in both online and traditional media, the Ghana Police Service established a media monitoring unit to swiftly deal with election-related issues. The African Election Project, in collaboration with the Georgia Institute of Technology, Meltwater Entrepreneurial School of Technology and EnoughisEnough with support from the UK’s Department for International Development also established a Social Media Tracking Centre (STMC). The STMC was to monitor the use of social media during Ghana’s 2012 elections. Google Ghana also launched the Ghana Election Hub, an information portal where citizens could keep track of news and information related to the election. The efficient application of technology gave an indication that Ghana was going to organise a successful election. The European Union election observers even said they were not going to observe Ghana’s 2012 election. I am tempted to believe that the use of technology gave the EU assurance that our elections was going to be free, fair and peaceful. Perhaps they also realised how easy it would be to monitor the elections online; there was no need for them to travel to Ghana. The election was held on December 7 2012 in over 26 000 polling stations across Ghana. All polling stations used the Biometric Verification Device (BVD) to verify voters. It is claimed that this was the first time biometric verification was used during an election, and a record number of people were biometrically verified in one day. However, 1.6% of polling stations were forced to postpone the election to December 8, mostly due to some technical hitches. The hashtag #GhanaDecides trended on Twitter from December 7 – 9 2012. Social media continued to play a key role in Ghana’s election even after polls closed. There were healthy debates on Twitter, Facebook and in the blogosphere. The electoral commisison’s website was a reliable source of information and certified election results. All media houses relied on it. In previous elections, the media houses would announce provisional results which were at odds with the electoral commission’s. These conflicting results generated tensions among voters in the past, as depicted in Jareth Merz’s documentary An African Election. The efficient use of technology made it possible for the electoral commission to collate and declare national election results in less than the usual 72 hours after the close of polls. The world also learned about the beautiful story of another successful and peaceful African election via the internet. The main opposition party is currently challenging the results of the presidential election in court. It is worth noting that technology again made it possible for the opposition to gather and analyse evidence for the court case, as a key witness admitted in court. On the whole and thank to technology, Ghana’s polls were acclaimed as the most free, fair and transparent, raising the bar for other African countries. On the night watch service on December 31 2012, the theme prayer was “all thanks to God”. Hallelujah! Divine Puplampu is the co-founder of a technology start-up company called Zottech, which provides technological products and solutions to Ghanaian businesses and organisations. 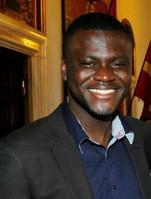 He is one of 10 young Africans shortlisted to be a One Young World delegate at this year’s summit. At this event, the M&G’s Trevor Ncube will be chairing a session on African media and what Africans think of their journalists. To share your views, complete this short survey. In October this year, over 1300 young future leaders from 190 countries will gather in Johannesburg to share their vision and ideas on leadership and development. 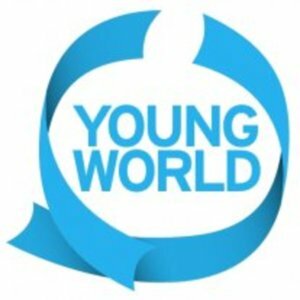 They’ll be attending the fourth annual One Young World Summit from 2-5 October, where they’ll be given a platform to engage with respected global leaders on everything from governance to health to sustainable development. 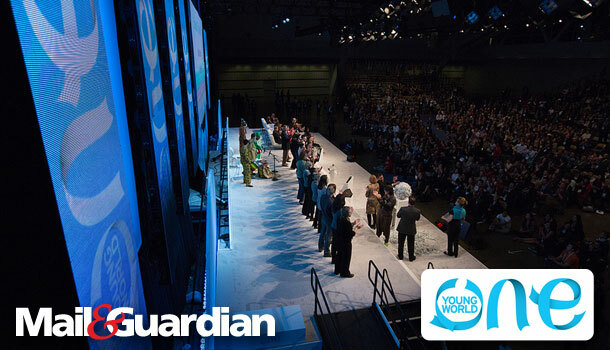 Unlike any other event, the One Young World Summit gives delegates the kind of media platform ordinarily afforded only to those who lead countries and corporations. Delegates speak alongside respected global figures selected for their work and insight into matters affecting the whole world, and the youth in particular. The Mail & Guardian‘s Trevor Ncube will be chairing a session on African media and what Africans think of their journalists. To share your views, complete this short survey. As part of its commitment to developing young leaders, the M&G is sponsoring two young Africans to attend the One Young World summit. Last month we called for applications from Africans who have strong leadership skills, are invested in global issues and have a passion for volunteering to apply for this once-in-a-lifetime opportunity. We received hundreds of responses from young people doing inspiring and exciting things in the fields of technology and development on the continent. Of these, we’ve shortlisted the 10 candidates below and will choose two of them as One Young World delegates. Over the next two weeks, they’ll be blogging about how they’re using digital technology to improve Africans’ daily lives. From digitising Ghanaian doctors’ prescription pads to empowering women farmers in Malawi through SMS campaigns, these are stories you don’t want to miss. Oscar is passionate about technology and social change. He has used his skills in digital technology to raise funds for Crystal Mbaguno who required life saving surgery in India for a benign brain tumour. His digital media campaign helped raised part of the 2.5 million Nira for her operation, and she is currently in recovery. Oscar is involved in another project to combat hunger and food wastage in conjunction with retail distributors. This project connects the retailer, the poor, and charities that supply food to them. Joel is the founder of pesatalk.com, an online consumer finance publication that’s aimed at simplifying the world of finance for ordinary Kenyans. He’s also behind Sagana Farms, an agribusiness start-up that helps small-scale farmers get the best returns for their produce by linking them with retailers in urban areas. Joel is a volunteer lecturer in a program aimed at equipping underprivileged students with entrepreneurship and technology skills. 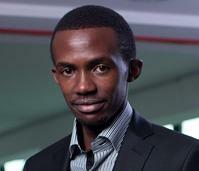 He has been involved with TEDx in Nairobi, and spoke at TEDx Kangemi, Kibera and Silanga. 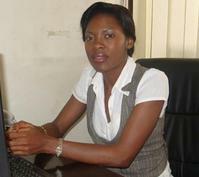 Chikondi is passionate about empowering women farmers and educating young women. She uses digital technology – webcasts – to put young girls in her community in touch with inspiring role models in Malawi and across the world. Chikondi also empowers female farmers by teaching them literacy and numeracy via their cellphones. She promotes the use of SMS marketing among women farmers, which makes them more knowledgeable about market prices and enables them to sell their produce at minimum cost. Having grown up between the olive fields in a small town in Morocco, Adib has a passion for agriculture and business. At 17, he founded Fair Farming, a student-run organisation that seeks to help farmers boost their revenue using mobile technology. This project has enabled 300 hundred farmers to benefit from higher incomes and better provide for their families. His team is working on a new project called TelFarm, which will have a larger impact and benefit millions of farmers across the world. Aimed at small-scale farmers who lack financial services and extensive agriculture information, TelFarm is a suite of mobile-based SMS and voice tools that will allow farmers to significantly increase their income through access to transparent market prices, best farming practices, mobile payments and and micro-insurance. Gregory is passionate about access to healthcare in sub-Saharan Africa. The young Ghanaian founded mPharma, a system which digitises the traditional prescription notepad and transforms it into an interactive prescription writing tool. This way, physicians can send mobile prescription scripts to their patients and record and report adverse drug reactions in real time. Gregory has successfully partnered with the Zambian health ministry to deploy mPharma in the country’s health facilities. Tawanda is interested in finding innovative ways to meet social needs. He explore existing methods to see if he can remake or modify them to serve today’s society. 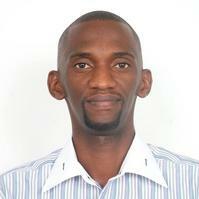 He founded ipaidabribe.org.zw, an online platform for users to blow the whistle on corrupt activity in Zimbabwe. He also founded Virtual Bank Africa www.virtualbank.co.zw, which provides basic financial services to people who otherwise would not be able to afford them. Tawanda is also committed to volunteering activities and job creation. 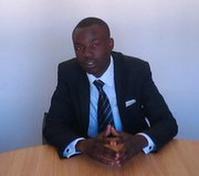 Mooketsi is passionate about social entrepreneurship, improved medical tourism for healthcare and education in Africa. He founded Digital Computer Labs, an initiative to set up state-of-the-art computer labs across all of Botswana for students to use. He is also invested in empowering women through education. He founded the first digital lab for young female students to come together and discuss ICTs and has given female students from the University of Botswana internships in his company. Mooketsi also hosts technology workshops and tutors students. Achu is a youth activist and is passionate about advocating education for young girls. She is a founding member of Impact Creators, a youth-led apolitical NGO that promotes the education and professional development of Cameroonian youth. She is part of a project called “Using Mobile Reporting to Improve Rural and Urban Youth Programming”. It makes use of basic technology on mobile phones to collect data more easily and make youth programming more effective. This ongoing initiative has been welcomed by the international community, and Achu presented on it at the 12th ICT4D conference in Atlanta last year. Divine believes that technology can be the solution to everyday problems. He co-founded a technology start-up company called Zottech, which provides technological products and solutions to Ghanaian businesses and organisations. 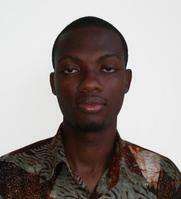 He also volunteers his time as a producer and co-host of Computer Link, the only IT show on radio in Ghana. Divine served as a Google Ambassador at university and hosted workshops and training sessions for technological products. He volunteers with various initiatives aimed at improving the lives of the youth through the use of technology. Tinashe believes that the voice of Zimbabwean youth matters and that they ought to proactively participate in the political and social discourse as it affects their lives daily . He is the founder of YoungNation, an online portal that harvests conversations to build young people into better citizens. YoungNation runs an interactive digital hub located in downtown Harare that provides access to information and applications for communication, commerce, entertainment and education. It is the first such initiative in Zimbabwe targeted at young people aged between 18 and 35. The project offers networking opportunities and hosts workshops and training. It is an ideal location to support and grow future entrepreneurs.